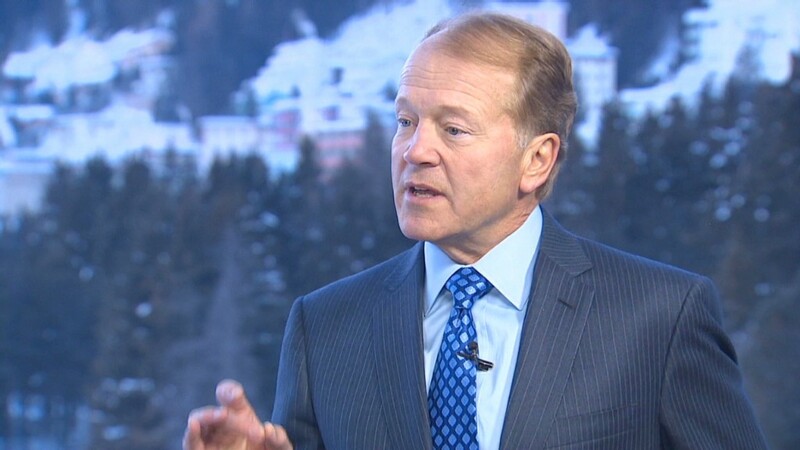 CEO John Chambers talks often about Cisco's reach providing an ability to spot global trends early. Cisco enjoyed a long reign as the king of routers and switches. But as Internet networking evolves, Cisco has worked to reinvent itself -- and its shift into services like online video and data is paying off. Cisco revealed in its second-quarter earnings report Wednesday that its core businesses, switching and routing, still make up nearly half the company's revenue. But those sectors are slowing, and the growth story is in Cisco's strategic services. Those divisions are a smaller part of Cisco's overall business, but they're growing at a rapid clip. Data center sales rose 65% over the year, while wireless networking jumped 27%. Online video services grew by 20%. 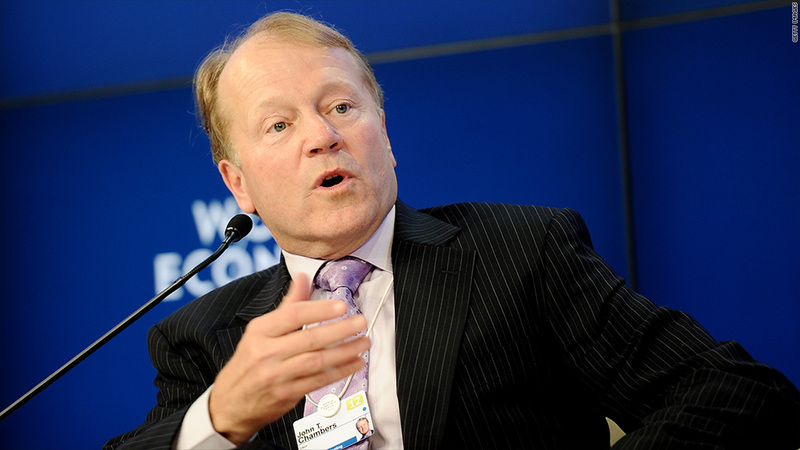 On a conference call with analysts, CEO John Chambers talked about a slow-but-sure turnaround in the IT sector. Cisco's customers' tone is "cautious optimism," Chambers said. He warned against expecting a quick improvement in the networking sector, but he said sentiment is getting better. Overall, Cisco earned $2.7 billion on $12.1 billion in sales for the second fiscal quarter. Both were up single-digit percentages over the year and beat analysts' expectations. The company expects year-over-year revenue growth of about 5%, and earnings of about 49 cents per share -- both roughly in line with Wall Street's forecasts. Cisco also continued to grow its impressive cash hoard, which now sits at $46.4 billion. Shares of Cisco (CSCO) lost about 2% in after-hours trading. Diversifying into services has helped Cisco, whose stock is trading right around its 52-week high, fare significantly better than its main rivals. The CEO of troubled Alcatel-Lucent (ALU) announced last week that he'll step down. Shares of F5 Networks (FFIV) also fell drastically in the first half of 2012 but have clawed back a bit. Another Cisco rival, Juniper Networks (JNPR), beat Wall Street estimates last month but issued a cautious outlook for the current quarter. It's not only techies who pay attention to Cisco. Cisco's massive, global reach makes it something of an indicator for the world's economy. The company famously has its fingers in all parts of the networking pie, with a wide array of business sectors both home and abroad. If businesses and governments are worried about the economy, they won't be spending money on networking equipment. Chambers talks often about how Cisco's reach allows the company to spot global trends as they begin. Last quarter, Chambers said the U.S. economy was improving slowly, although it's too early to call a trend. He also said he expects the economic situation in Europe to get worse before it gets better. Cisco's product sales reflected that. The Americas gained 2% over the year, while Europe contracted by 6%. Chambers noted the European decline narrowed from the previous quarter, but said it's "still too early to call recovery." Overall, Cisco's product sales were flat over the year. Specifically,"public sector" product sales were also flat -- but within that area, Chambers noted that state and education sales were up 7%. Those gains were offset by a 5% decline in the federal sector.